No, this isn’t one of those dreadful “274 Local SEO Tools” posts. Most of those lists suffer from bloat, or come from a seller with an ulterior motive, or are stuffed with affiliate links. Also, because of the constant changes in Google and in the rest of the local-search ecosystem, most “tools” roundups have the shelf life of sushi. You should be able to do effective local SEO (for your business or for clients) without a single third-party piece of software or other tool. I am not saying you should go tool-free. Some tools sure make life easier. 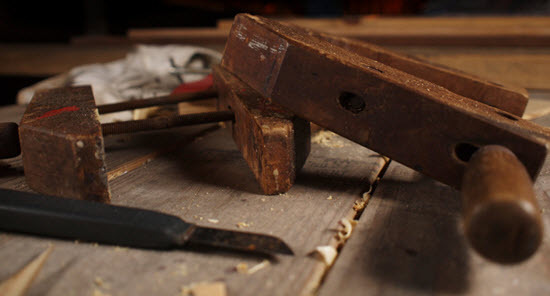 I’m saying that you should have the ability to go old-school, and that simply using a tool doesn’t mean you’ll do good work. It’s also nice not to nurse on a tool that can break or become useless or be taken from you. Long way of saying I’m all about internal resources. They help me understand my own processes and stay on-track, they make work easier for my helpers and me, and they clarify problems and action items for my clients. Many of them double as deliverables I give clients. You probably have a couple of home-brewed resources already. But you’re probably missing at least a few that can reduce work, thinking, or repetition on your part, and that can make your life easier. Below are the 30+ internal resources I’ve found useful to cultivate and use for local SEO. I’ve provided links or examples where possible. You’re free to adapt or improve on any of them. 1. Preliminary questionnaire. For getting the basic facts before you start on a project. 2. Questionnaire for consultations/troubleshooting. Helps you remember the most-important questions to ask. It’s especially useful if your client can fill it out before you get on the phone, so you can troubleshoot beforehand. 3. “Swipe file”: real-life examples that reflect every suggestion you make. It’s nice if you’ve also got real-life examples of what you don’t I try to do that in my posts (where appropriate), but I also wheel out other examples for clients. 4. “Lab chimp” client: one who’s open to the occasional experiment, as long as it’s not spammy or otherwise unethical. 5. 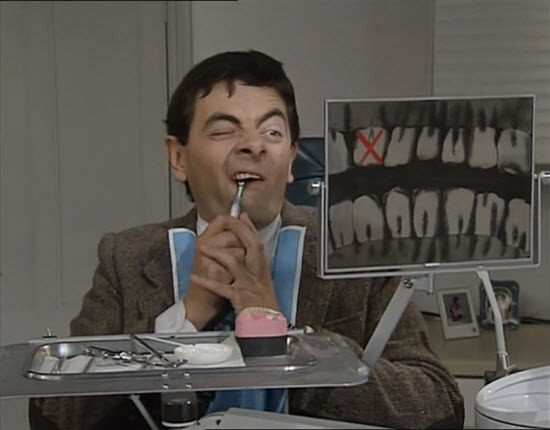 Old local SEO audits you did. They’ll serve as starting points or templates for future audits you do – for those clients or for others. Eventually they’ll become like yearbook photos. You’ll be surprised at how your audits grow over time. 7. 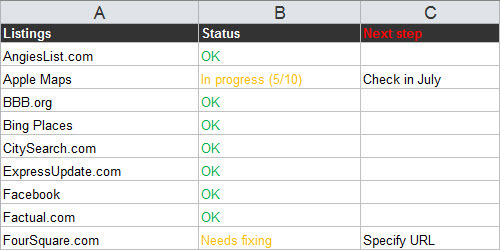 Spreadsheet for checking rankings manually. Yep, without tools. If you’re like me, it’s not something you’ll use often, but it’s good to have around. 8. 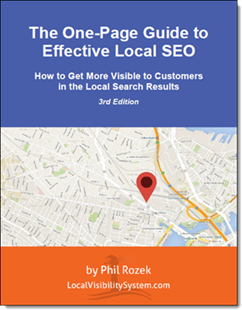 Written guide to your basic approach to local SEO. Doesn’t need to be for anyone else’s eyes, but you should have the basic workflow written down somewhere. You can get mine. 10. “Intake form” for citations: a spreadsheet your clients can fill in to give you (and any helpers) the info you need to work on their local listings. Here’s Whitespark’s form. 11. Citation worksheet: a spreadsheet you/your helpers can use to work on local listings. Here’s what I use as a starting point for US businesses. You should have one for each country where you have clients or locations. 12. Place to keep login info for any listings you work on. Ideally that’s part of the “citation worksheet” (pictured above). 13. List of relevant and notable “niche” citation sources. Can be a mashup of resources like this, this, this, and this. You’ll probably need to sift through the list to identify the most-important niche listings any given client should have. Add any keepers to your aforementioned citation worksheet for that client. 14. “Black book” of all the support departments at local-business directories and similar sites. Lists of contact info are here and here. 15. Local listings for your business. Just so you know how to handle listings on most of the sites you might work on for a client. 16. 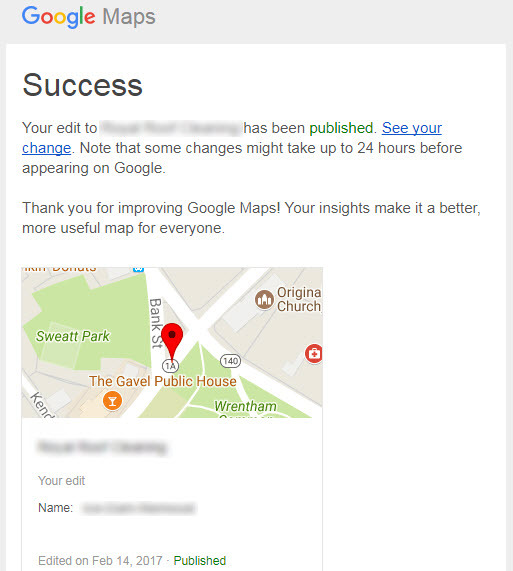 Google Maps user-profile with a solid track record of making edits (particularly anti-spam edits) that Google approves. 17. Yelp account with a solid track record: a history of reporting reviews that end up getting removed, or suggesting edits that end up being approved. 18. Site-audit spreadsheet. Here’s mine. 19. Real-life example of every element or practice you want (or don’t want) on a site. A homepage that covers all the bases, a “city page” that ranks well and brings leads, an irresistible title tag, a great job of incorporating all the services into the menu and internal linking, etc. 20. A migration checklist – short-n’-sweet, or exhaustive. 21. Schema.org markup for every occasion you use Schema. You don’t want to rely on plugins. Also, if and when you hand-code and test it, you probably won’t want to do it all over again next time. 22. Your own site. For your business. Kind of looks bad if you don’t have one (though most SEOs’ sites are about as useful as a Sears-Roebuck catalog). 23. A site you can experiment on freely. That may rule out all but your site. 24. Link questionnaire for your clients to fill out. Gives you a sense of what types of link-earning ideas your clients are most interested in, and any current link opportunities. 25. Spreadsheet for collaborating with clients on link opportunities. How you should lay this out is just a matter of taste, and of what works for you. I like to include several tabs: “ideas to discuss,” “working on,” “dead ends/not interested,” and “in the bag.” Any given link opp goes on one of those tabs. 26. Spreadsheet for collaborating with any helpers of yours on link-huntin’. 27. Copies of successful outreach emails – emails that helped you eventually get hard-to-get links. You don’t want to reinvent the wheel every time, though you do want to take time to customize each email, of course. 28. Copies of your link-opportunities reports: the list of link opportunities you found and suggested to clients. Probably some of them will be relevant and useful in the future, and at the very least they’ll get the creative juices flowing. 29. Spreadsheet for auditing clients’ reviews: which 5-12 review sites they should care about, how many reviews they’ve got on each site, how you’d suggest prioritizing, and the next steps you’d suggest. You can use it to plan your long-term work together on rustling up reviews. 30. List of questions you can use to figure out why your clients aren’t getting reviews. Maybe a shorter version of this. 31. Template for an initial review-encouragement email – for clients to send to their customers/clients/patients. Customize and tweak as necessary. 32. Template for a follow-up review-encouragement email. A friendly reminder, in case your client doesn’t get a review after sending the first email. 33. Written outline of the general review-encouragement strategy you suggest to clients. You can and should customize it to any given client’s specific situation. 34. Spreadsheet the client or designated “reviews person” can use to stay on top of the outreach for reviews. Who’s been asked, what happened, what’s next, etc. 35. Template for customizing review handouts. Like this or this. Any internal (non-third-party) local SEO resources you’d add? Any you’d like to share – maybe resources you created? Which one(s) do you find the most useful?